Why Do Babies Have More Bones Than Adults? For those of you who don’t know this already, the fact that babies have more bones than adults might come as a big surprise. Your shock is pretty justifiable; if you’ve ever held a baby in your arms, you have probably been amazed at how soft their bodies are. Given that, it seems almost impossible that those small limbs, head, and torso could house more bones than the body of an adult. Adults also tend to feel quite ‘bony’, so this fact is definitely a weird one. The question is, why do adults tend to have fewer bones than babies? Where do the extra bones go? How many bones do babies have? Now the question is how many more bones do babies actually have than adults?! The answer? Around 90-95 bones more! A baby is born with around 300 bones, whereas a grown adult has 206 bones. There is no debate that babies have a significantly higher number of bones than adults. The reason behind this is attributed to cartilage. Cartilage is a rubber-like padding that covers and shields the ends of long bones at the joints. It is basically a smooth, elastic tissue that can be readily found in the ears, rib cage, nose and other parts of the body. Cartilage is neither as strong as bone nor as flexible as muscle. Babies are less bony for a good reason; if they were fully “hardened”, it would make delivery almost impossible. Infants’ bodies need to be extremely soft and limber so that they can be born in the first place! Babies are born with more cartilage (than bone), but it gradually turns into bone over a period of time through a process called endochondral ossification. This is a vital part of the developmental stages of a fetus and leads to the creation of bone tissue in the body. 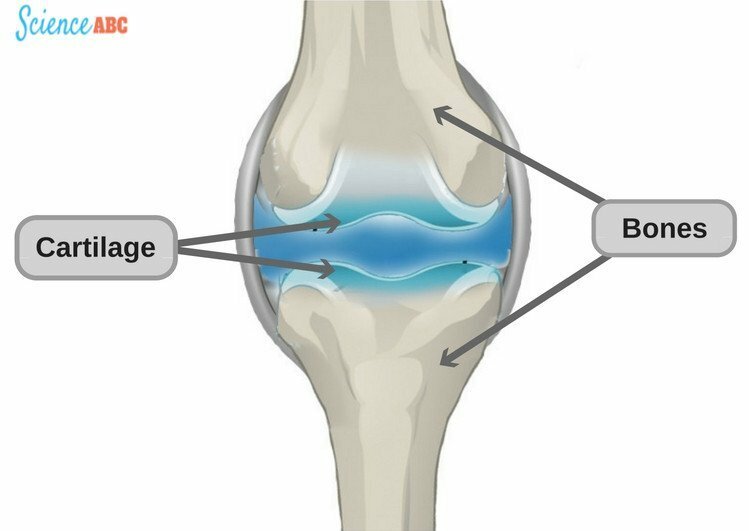 As the baby grows, cartilage is replaced by bone matrices. Here, calcium salts (that babies get from their diet) are laid to form hardened bones. This is the reason why adults have fewer bones than babies because, for babies, many small bony segments fuse together to form a single bone. There are a number of signs on the body that exemplify why there is such a difference in the number of bones in babies and adults. One good example of this is the ‘soft spot’ on babies’ heads. You have probably been told not to press it, as it might deform the baby’s head or cause internal injuries. However, as the baby grows, that soft spot magically vanishes! 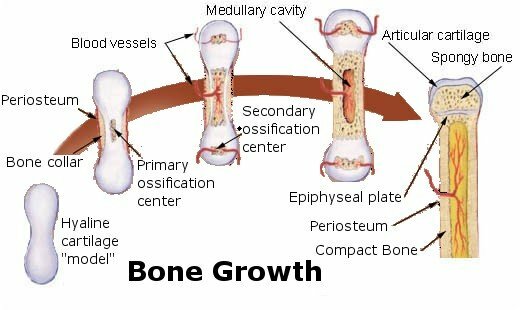 This happens because the different small bone segments fuse together over time to form fewer bones, but they are larger and stronger. Therefore, if a baby’s skull (at 1 or 2 years of age) has 8 tiny bony segments, that number will reduce to 4 when the baby becomes an adult. Hyoid, the V-shaped bone situated at the base of the tongue, is the only bone in the body that is not connected to any other bone. Femur (located in the upper thigh) is the longest bone, whereas the stapes (located in the ear) is the smallest bone in the human body. 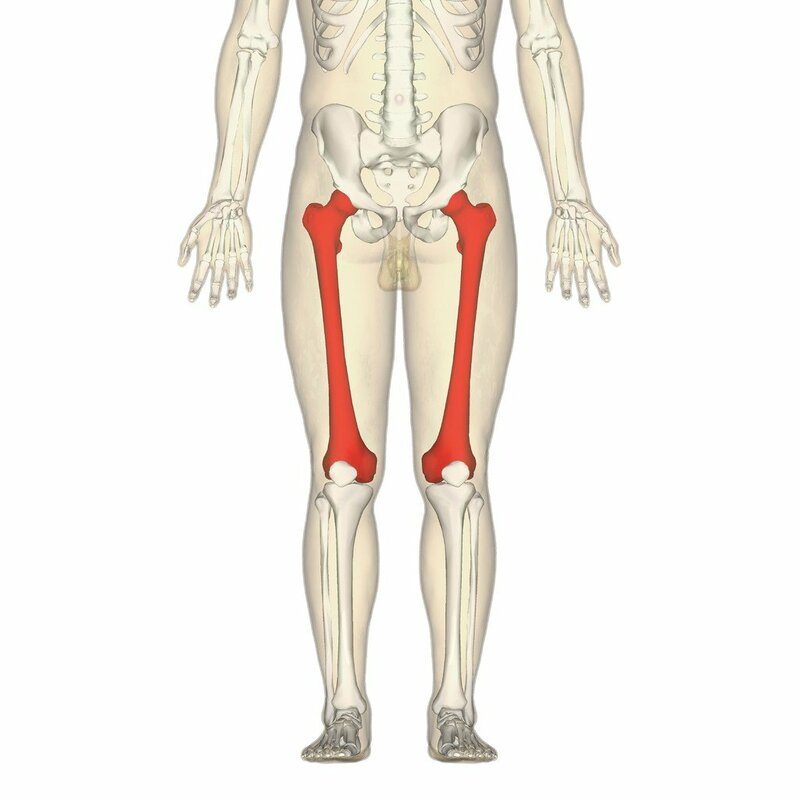 Although bones stop growing in length during puberty, their strength and density change throughout everyone’s life. The most commonly fractured bones in the human body are those in the arms, which account for almost half of all broken bones. The skeleton composes one-fifth of an average human’s body mass.